Today is National Women’s Health and Fitness Day, and as someone who spends most of my days surrounded by pretty amazing women, I thought it was a good opportunity to give a shout out to some of the women I admire who are doing great things in our area in the fields of health and fitness. If you live in Philadelphia and are interested in women’s health, you’ve likely heard of Suzie and her innovative new business, Binto – a personalized monthly subscription box service for women’s health supplements. I first met Suzie when she was an IVF & infertility nurse at Penn Fertility Care. I (very) often travel there to give acupuncture treatments to women going through IVF. Since then, Suzie has turned her passion for supporting women’s health into a thriving business, raising awareness for infertility along the way. Binto offers vitamin and probiotic supplements, organic feminine care products and fertility supplements, and your introduction to the brand starts with a personalized survey. If you aren’t familiar with Suzie yet, be sure to check out her amazing business here! In the past two years, I’ve spent as many Saturdays as I can practicing yoga with the amazing Teagan Schweitzer. In addition to being one of the most vibrant and intelligent women I know, she is an incredible teacher – you could practice with her every day for years and never stop finding new things to learn. 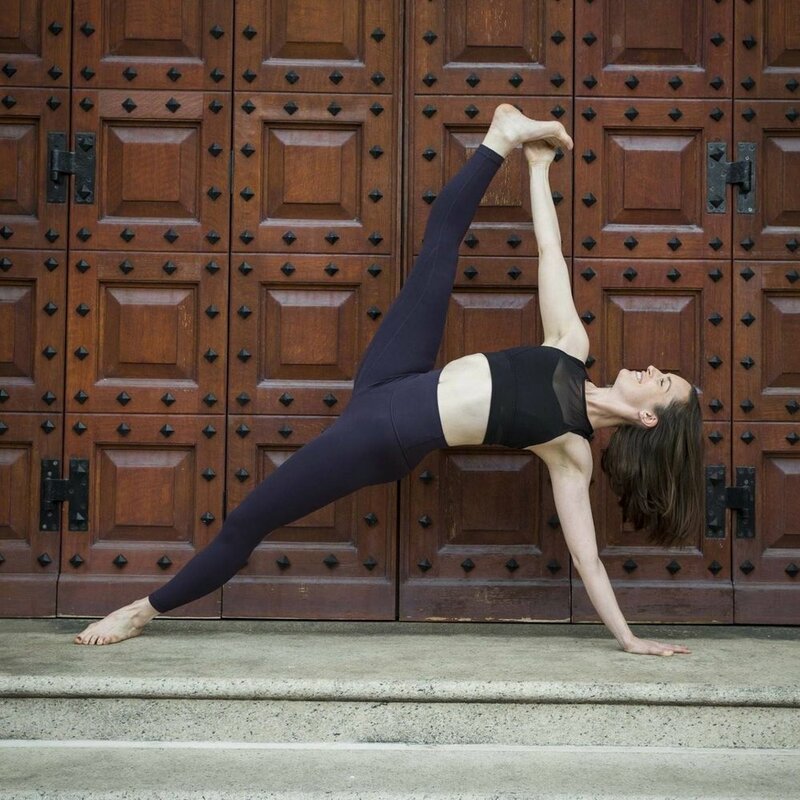 So many teachers just tell you to get into a pose whereas Teagan will walk you through how to do it, and how to do it within your own state of practice and limits ensuring no one gets hurt. She is an instructor at Maha Yoga and Sanctuary Yoga, and recently became a Lululemon Ambassador. If you are looking for one of the best yoga instructors around, you must go see Teagan. Plus, she has a Ph.D. in Food Anthropology from Penn! When talking about women and health in Philadelphia, you can’t not mention Madeline Bell. Not only has she spent years helping CHOP become one of the best children’s hospitals in the world, she is a champion for other women in the health fields and beyond. Through her blog, Heels of Success, Madeline shares advice, mentorship and stories that illustrate the unique issues that she sees many of her female peers struggling with. To top it off, Madeline approved the use of acupuncture at CHOP for patients in pain. Though I haven’t met her, I’m a big fan. I first met Kate when The Healing Arts Center participated as a vendor at the health and wellness festival she helped created, called The GOOD Fest. The festival brought together hundreds of women of all ages who are dedicated to their health – so many of whom stopped by to try acupuncture for the first time from us at the event! I really admire Kate’s candidness in her blog, “She be Kalein It,” about her personal struggles and recovery from an eating disorder. She offers a ton of helpful content for women looking to increase their knowledge of holistic health, healthy eating, body positivity and works hard to end the stigma around mental illness. When Philadelphia Magazine asked me to bring a model for my Best of Philly acupuncture photoshoot, I knew I wanted to ask Kate. As a newbie to acupuncture, she put on a brave face and did an awesome job relaxing as I stuck needles in her face! Check Kate out on her blog or on Instagram as @she_be_kalein_it. I couldn’t possible write a post about women doing great things in the health and wellness field without mentioning my incredible and dedicated staff of women at The Healing Arts Center. Day in and day out these women put their hearts and souls into working with our patients, often providing the only moments of comfort, relaxation and peace they feel all week. Whether it’s offering acupuncture treatments to cancer patients as they undergo chemo or for women who are dealing with the pain and uncertainty of infertility, I couldn’t be more proud of our people. Thank you to our acupuncturists, Tansy Briggs, L.OM., Julie Schwartz, L.OM., Vashni Nilon, L.Ac., Kelly Boggs, L.Ac., Lydia Reese, L.Ac., Taissa Kira, L.Ac., Carrie Pratt, L.Aa., our Office Managers, Laura Mullin, Alexandra Walls, Erica Flickinger and Rachel Browne.